Just a super quick one tonight because I’m off to the Loire Valley for a week tomorrow, and need to get packing! The prospect of eating nothing but cheese and drinking French wine fills me with lots of pleasure, but a teeny bit of guilt, so it’s a healthy dinner tonight. 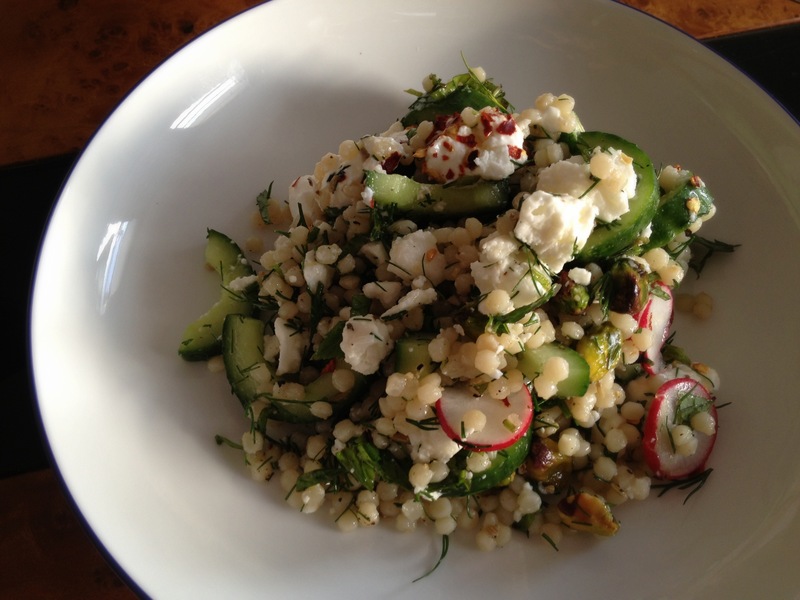 Couscous (giant, naturally), feta and cucumber jazzed up with pistachios, fennel seeds, mint and dill. Wholesome, super fresh and delicious. That’s it from me – next stop France! I like dill too, especially with cucumber! My boyfriend loves it. It’s also just really pretty in salads I think. That’s a lovely recipe! 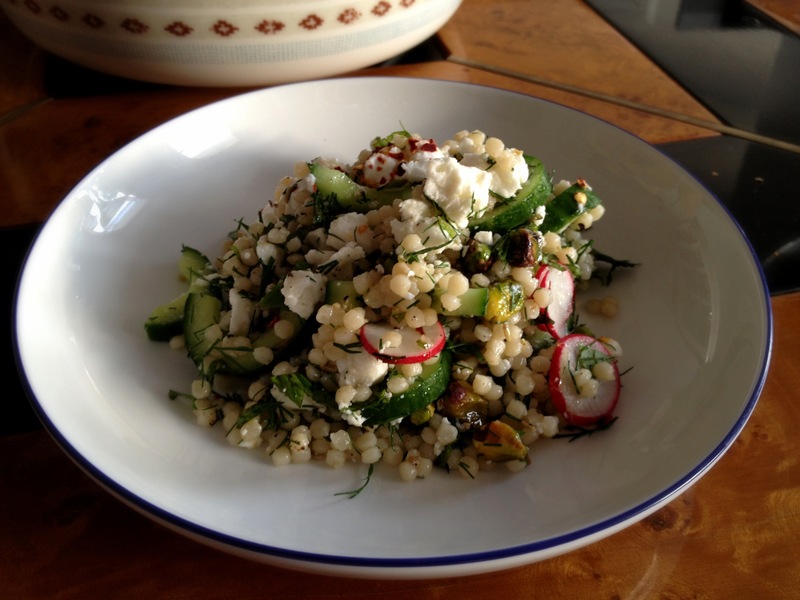 I have been using giant couscous a lot in salads recently, with peas, Kalamata olives, red onion and feta. I will have to try your recipe. This looks fresh and easy. Just the recipe for summer! 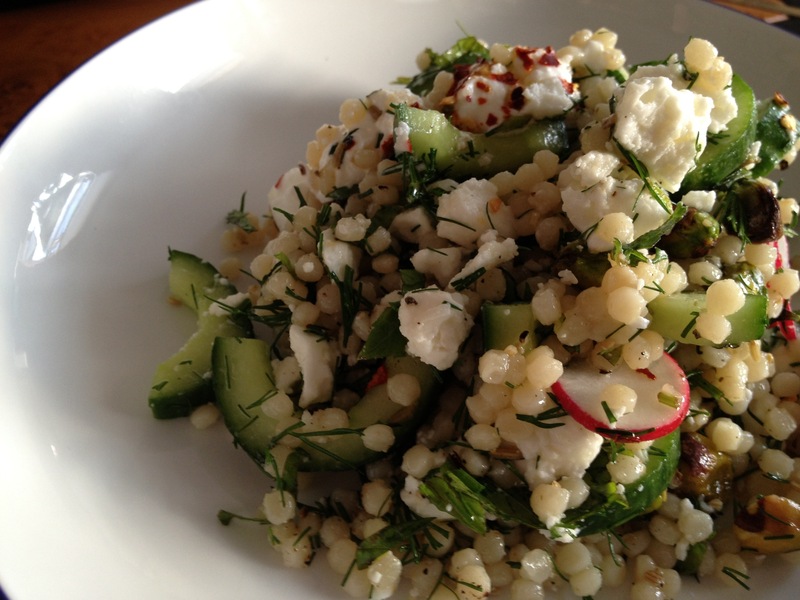 I might have to try it first with quinoa because that’s what I have in the cupboard today! Thank you! It’s the best isn’t it? Thank you!